Feast on your favourite delicacies from across the globe at our all-day dining, Pratha. or unwind with your favourite drinks at our in-house bar, Boond. 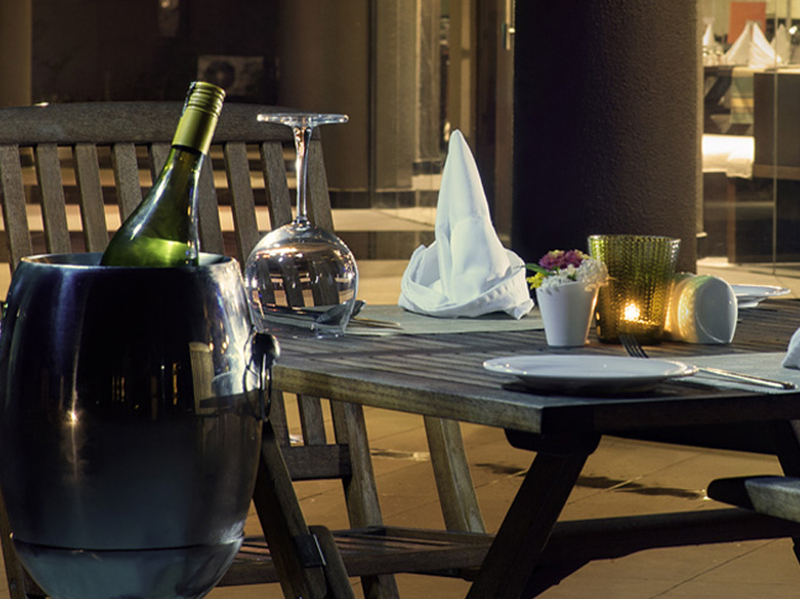 The comfortable and luxurious ambience at these outlets make them ideal venues to wine and dine. Overlooking the serene waters of river Kosi, our all-day dining restaurant serves a wide range of global delicacies. Influenced by Continental and Asian cuisines, these mouth-watering dishes are sure to satiate all gourmet preferences. With live cooking stations, watch as our chefs handcraft your favourite dish, just the way you like it. Choose from our expansive buffet or à la carte options. 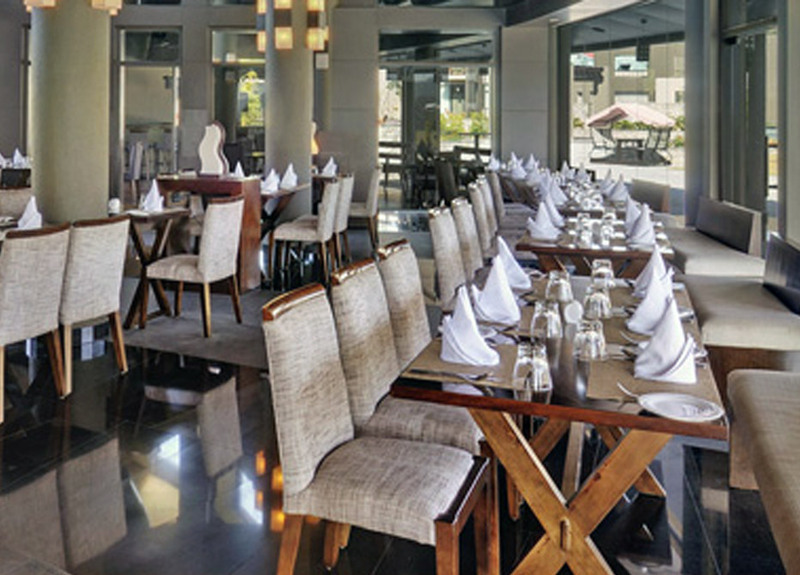 Pratha seats around 60 guests, and offers a majestic view of the Sitabani Mountains. The décor is faintly reminiscent of the wilderness of the jungle, with a generous splash of luxury furnishings and fixtures. Breakfast – 07:30 AM till 10:30 AM. Lunch – 01:00 PM till 03:00 PM . Evening Tea – 05:30 PM till 06 : 15 PM . Dinner – 07:30 PM till 10:30 PM . Unwind with your friends and family as you sip on your favourite beverages complemented by light bites. The bar seats around 25 guests and offers breathtaking views of the Kosi river. Watch the latest screenings of your favourite sport or groove to scintillating tunes.